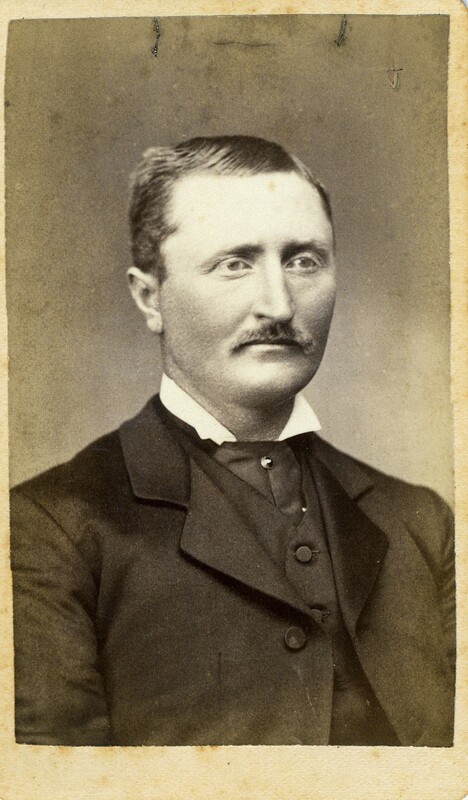 Man, clean shaven except for a mustache, probably a member of the Francis and Mary Bremer family. He wears a suit with a vest, a tie with a stick pin, and wing collar. Carte de Visite (CDV) 4x2� in. Printed on the back of the card: Barrows, 55 Bridge St. W., Grand Rapids, Mich.